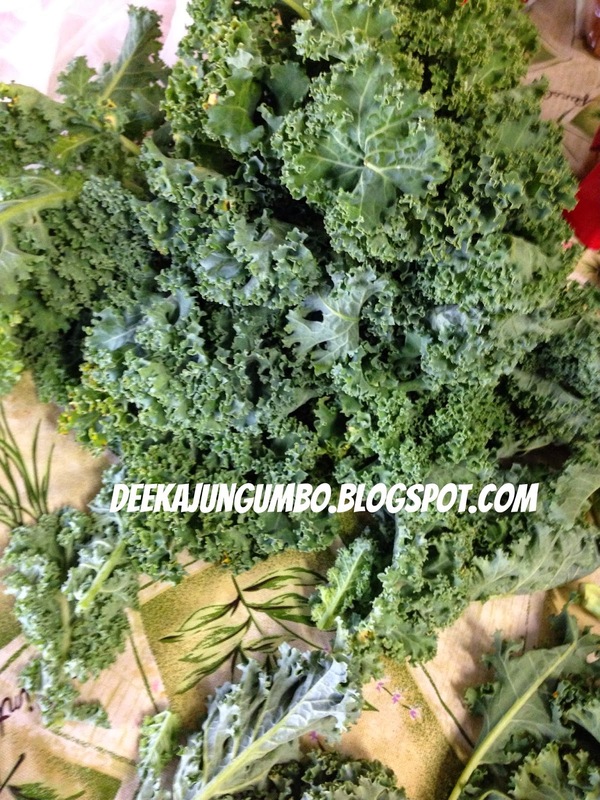 During my trip to our local Farmers Market I bought tons of fresh Kale. They are so abundant & affordable right now. I ended up with more than I could prepare so I decided to try freezing them. 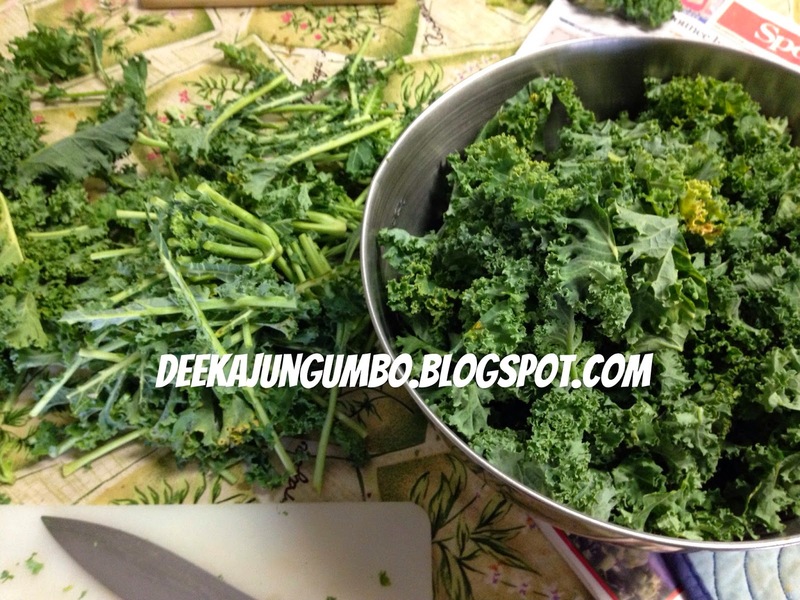 It worked beautifully, now I have freezer stocked with kale for use in my recipes. 1. First I cut the kale from the stalk, this was really the most time consuming part. 2. Next I blanched them in a pot of boiling water for 3 minutes. I used my canning pot. 3. Next, dunk them into ice water for an additional 3 minutes. 4. I then I grab handfuls and squeeze them into balls about the size of my palm removing as much moisture as possible & placed each section/ball onto a pan. 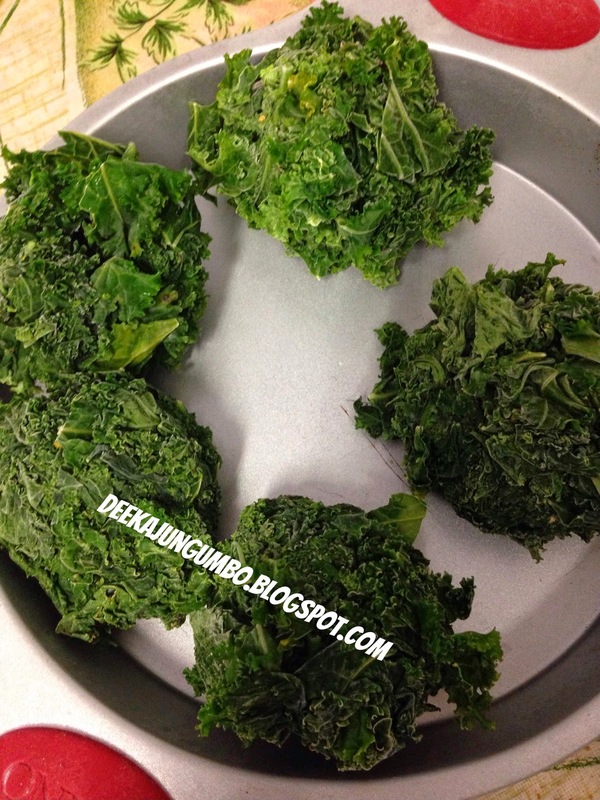 Kale is so nutritious and great idea to keep some in your freezer.